Astigmatism is an eye condition in which the shape of the cornea or lens of the eye is abnormally curved. The cornea is shaped more like an American football, rather than round or baseball shaped. Due to the irregular curvature, light does not hit the eye in such a way that it is properly focused on the retina and both distance and close range vision is affected. If you have astigmatism, you may want to talk to your doctor about the advantages of limbal relaxing incisions (LRIs). 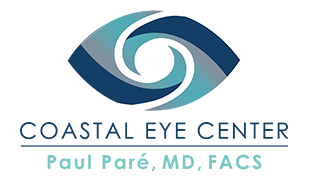 Many patients typically use this option in conjunction with another procedure to enhance cataract surgery. LRIs can eliminate the need for an additional procedure to correct astigmatism at a later time. Patients with astigmatism who are undergoing cataract surgery can choose to have limbal-relaxing incisions to reduce their dependence on glasses for clearer vision. Limbal-relaxing incisions are tiny cuts made around the edge of the cornea, called the limbus. These incisions "relax" the cornea's steep curvature and improve the way the eye focuses light. Limbal-relaxing incisions have been shown to heal faster and cause fewer side effects. These incisions are also made outside the field of view, so they do not affect one’s vision as other corneal surgeries might. What are the Benefits of LRI? LRI optimizes the function of intraocular lenses (IOL) in order to achieve a wider range of vision correction. It is the more commonly preferred method to treat astigmatism in cataract surgeons. The procedure has a proven track record of safety with rare complications. Because of their placement at the limbus, LRIs have the potential advantage of preserving the optical qualities of the cornea, inducing less postoperative glare, minimizing discomfort, reducing over correction, and allowing quicker recovery results. The visual recovery from an LRI procedure is also typically very quick. If you have astigmatism, call us today. A consultation with your eye doctor is necessary to determine whether LRIs or another treatment option is best for you.